A while back I bought an old, big tractor. I already had a small landscape tractor, but I wanted to be able to dig in this rocky soil and the little one just wouldn't cut it <link>. This big guy had been poorly maintained for many years out here in the Arizona sun and has been a constant pleasure for me to mess with. But, wait, how can a poorly maintained tractor be a pleasure? In case you haven't noticed, I like to fix things; especially things that I know little or nothing about. I get to dive in, take it apart, figure out how it works, and eventually, actually use it for whatever purpose it was intended. This tractor has been a great project machine for the last couple of years and has been running (well mostly) the entire time. It's dug holes for me, the neighbors and a friend down the road; it also moves dirt for folk that managed to get a pile of it delivered to start a garden. Fun machine. If I replace it, I'd have to shell out $1800 plus shipping for a new one. There are a few used ones that show up from time to time on ebay, but who knows their history? I'd have a new valve and it wouldn't leak. I could send it to a hydraulics shop. 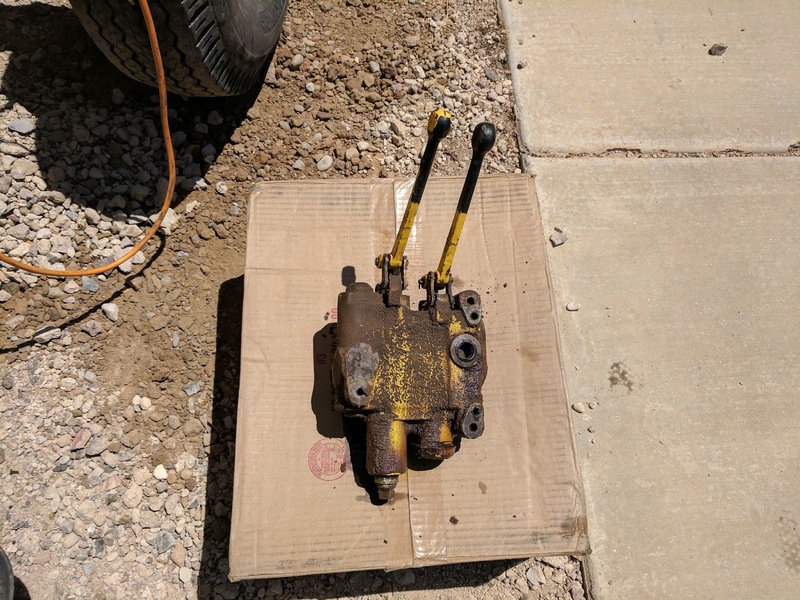 I called a couple of hydraulic shops and the estimates ran from $700 to $1000 with the caveat that they might have to custom machine some parts that weren't available. That, of course would drive the price up. The up side is that it wouldn't leak. 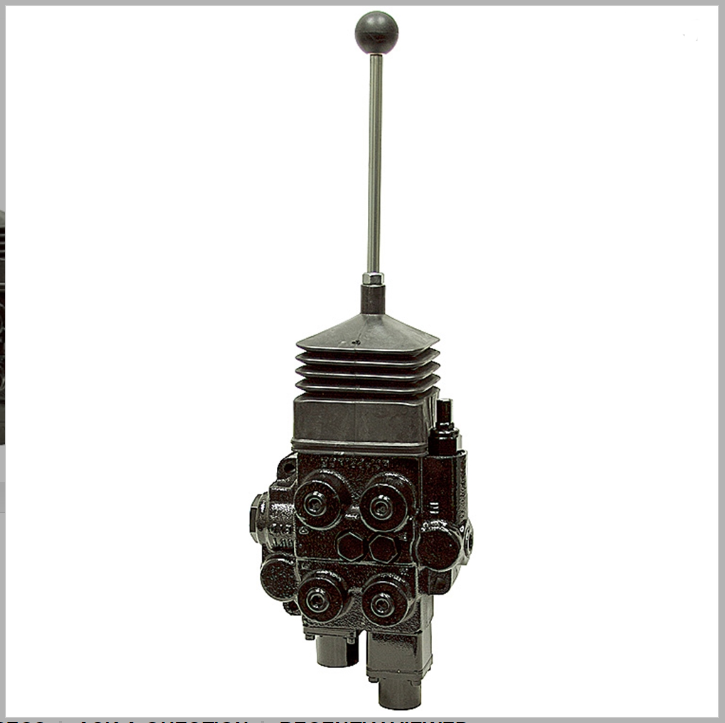 Replacing it with a different kind of valve would require some modifications to the tractor and special fittings would have to be put in place. This was the cheapest solution in raw money, but would take some plumbing and fabrication time. 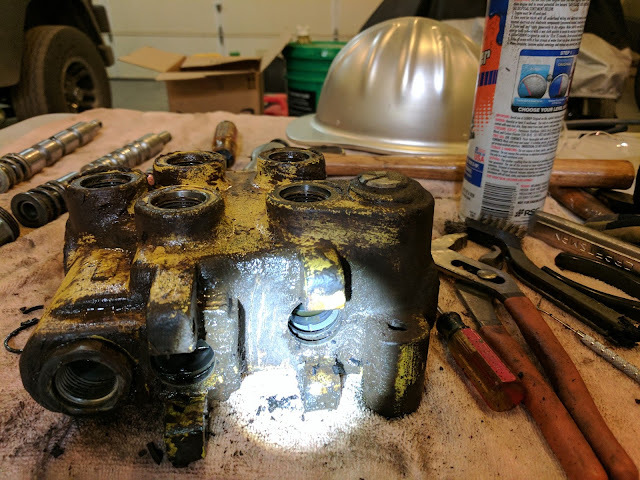 I decided to pull the valve loose from the tractor and see how bad it would be working on it. The hydraulics were weird compared to other tractors of the same era and the valve assembly was a lot larger than I initially thought. 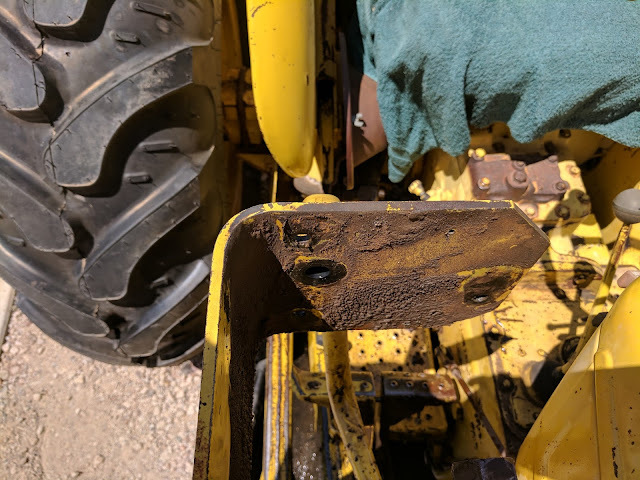 I just put it back on the tractor thinking I would decide later (after a couple of quarts of hydraulic fluid) which route I would pursue. But (there's that word again), after putting it back, the front bucket wouldn't hold position. I noticed it throwing away a pile of weeds. I put the bucket about a foot off the ground in the up position and went to get a wagon load of weeds. When I got back, the bucket had rotated down. After rotating the bucket up again, I put the weeds in the bucket and went to get another wagon full; when I got back, the weeds were on the ground and the bucket was down again. Taking it for a test drive, I found out that I had to rotate it back up every few minutes or it would wind up facing the ground. The arms worked fine, it was just the bucket that was trouble. My trouble shooting skills kicked in and told me that messing with the valve put it over the edge and it was time to make one of the decisions above, so I decided to rebuild it myself instead of taking it to a hydraulics shop. Yep, that was choice number four that I hadn't thought of before. Out came the big tools and cheater bar, and about an hour later I had the valve free from the tractor. The idea was to pull it apart, replace the various o-rings and put it back. So much for plans. See the hole in the middle of the picture? It's the relatively clean black spot. That's the return line; they actually fed the fluid through the mounting plate to a pipe that leads to the frame of the loader where the reservoir is. 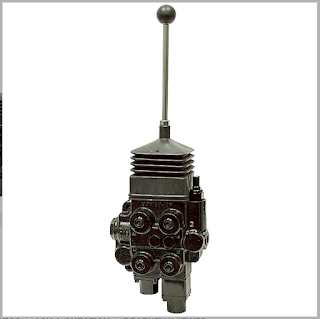 This has the advantage that it will not rot in the sun and the disadvantage of making the valve almost impossible to replace with something else. Probably wanted to ensure the sale of parts later. I knew this wasn't supposed to be there, but didn't really understand what the problems might be. Notice the wet fittings from the leak; I have to keep in mind what the actual problem was I was trying to fix. I wrapped a red rectangle around parts that were missing. What happened was that the end cap (20 on the drawing above) was taken off and probably lost. 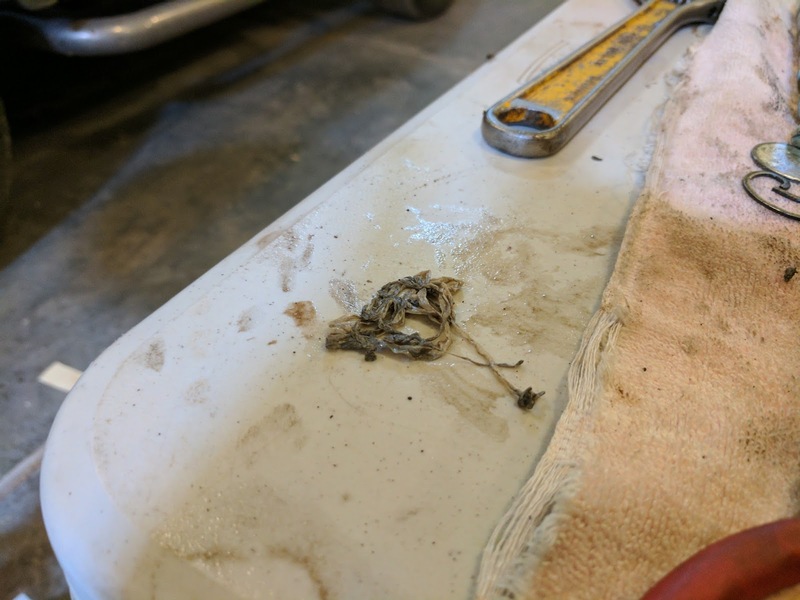 The other parts (17-19) probably went with it, so they sealed that part of the valve body with a kludge of galvanized pipe fittings. Naturally, pipe threads didn't match the threads of the valve it was a little bit too small, so someone wrapped the fitting with about three yards of teflon tape and screwed it in that way. I used a flashlight to give you a better view. That hole in there is where the seal for the top of the valve should be. That little pile of black debris down below it is what was left of the seal. All the top seals were that way, brittle powder. It's actually a wonder that the leak wasn't much worse. So, there I was. 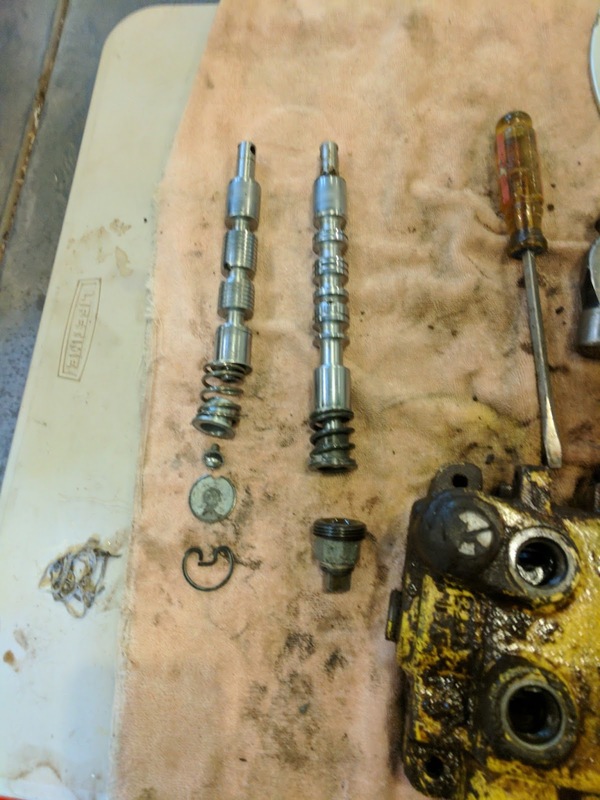 The valve had over 200 bucks worth of missing parts and a bunch of cheap seals and o-rings that needed to be replaced. Roughly a couple of weeks wait for delivery and a few hours of work. This is a 24 gallon per minute, double spool valve assembly. Brand new, latest technology and a JOY STICK ! For some work in re-plumbing and mounting this, I'll have the latest in loader control. Yes, it'll cost me about $100 more to do it, but this is just another project to have fun with. Now, I'm pacing the floor waiting for it to arrive. Edit: I got it in and installed it, then forgot to follow up on the blog. Here's the finish of this project <link>. This is a tottaly anti climax! Right when I was expecting a bunch of o-rings and some parts thrown at it, a bling part just got in! Yes, I know, I gave in to the pretty new valve. I'm so ashamed. But, I have to modify the plumbing, get some new hoses, tear off the old mount and build a new one. That should be fun. 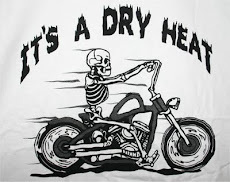 But, you want o-rings and parts and stuff thrown at hydraulics? Wait for the next post. I rebuilt seven of the cylinders on this tractor, and that took a bunch of o-rings. I was not even near to know how hard is to work on those toys!!! Ah yes. I'm right there with you on just doing it yourself. So much more satisfying and if you mess it up, just go with the old plan and buy a new one.